The deal includes the playoffs, which begin on July 11. The Overwatch League has signed a broadcast rights deal with Disney, bringing the tournament series to the ESPN, Disney, and ABC family of networks. 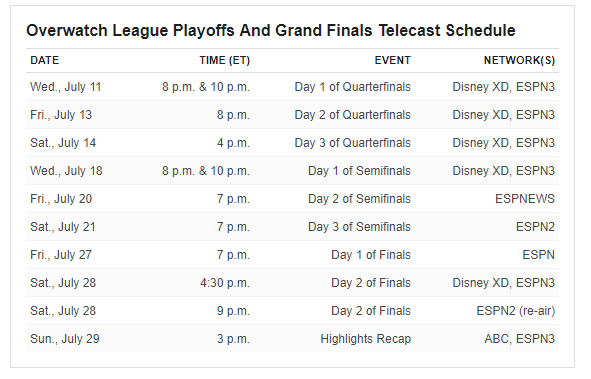 The multi-year broadcast rights deal starts with the Overwatch League playoffs later today, ESPN announced. Overwatch League’s season one finals held at the Barclays Center in Brooklyn, New York later this month and season two of the Overwatch League next year are also included in the deal. “Hundreds of hours” of live and highlight programming will be broadcast across the ESPN network, ESPN2, Disney XD, ABC, and streaming services, ESPN said. It’s the first time the Overwatch League will be broadcast live on television. The Overwatch League will continue to be broadcast on Twitch per its $90 million, two-year streaming rights agreement. “Clearly by the way we’re going to be covering it starting with the playoffs and the finals this year certainly speaks volumes to our excitement and our enthusiasm overall for esports moving forward,” Lasker said. ESPN did not disclose the full terms of the deal. The Overwatch League’s regular season began in January. 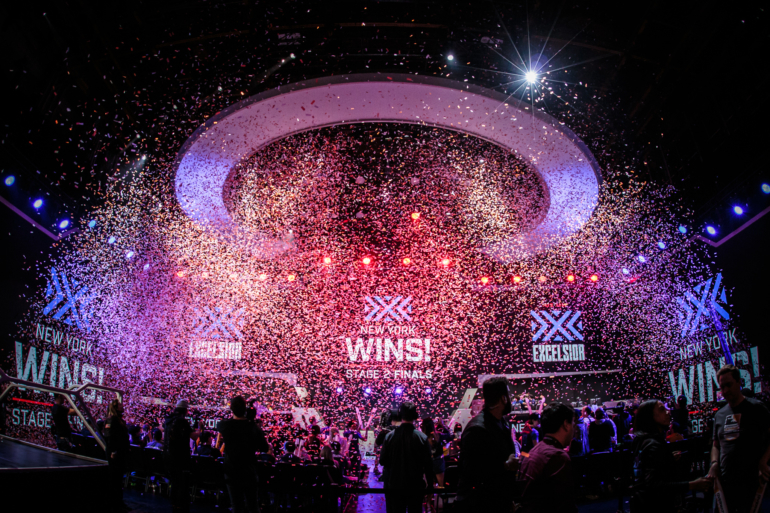 Four stages have since passed, leading into the Overwatch League playoffs. Six teams—Boston Uprising, Philadelphia Fusion, London Spitfire, New York Excelsior, Los Angeles Valiant, and Los Angeles Gladiators—out of 12 remain in contention for the inaugural championship title.